The Walking Dead Escape took place at the San Diego Comic-Con and WalkingDeadForums.com had the opportunity to participate. The event is part of a national tour which stops at cities across the United States. Participants are allowed to register as “Walkers” or attempt to escape the course as “Survivors.” The course is untimed and participants are allowed to make their way through at their own pace. Those who are not up for either may watch the fun from a safe distance as a spectator. I decided to participate as a Survivor and had a lot of fun doing it. The event was well-organized. It maintained a good haunted house vibe. It was fun and there were some good scares, but you never felt like you were in danger. My personal favorite moments were the Walker who took a dive at me and the section where they let walkers loose into a moderately packed crowd. That portion of the course created the illusion of moderate tension and chaos, which made the whole event worthwhile. I recorded the experience and edited the footage down to a tidy four minutes. Do enjoy. 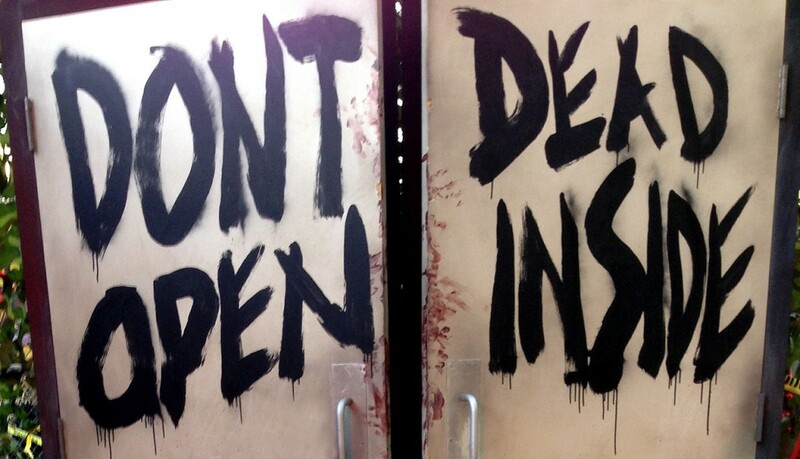 For more information on The Walking Dead Escape, visit the official website. You’ll be able to check for upcoming cities, dates, ticket info and pricing, view photos, read news and sign up for their mailing list. Big fan of all things Walking Dead. From the comics, to the games and of course, the TV show. Also a huge movie nerd. I Love Sci Fi and adventure movies but will pretty much watch anything.